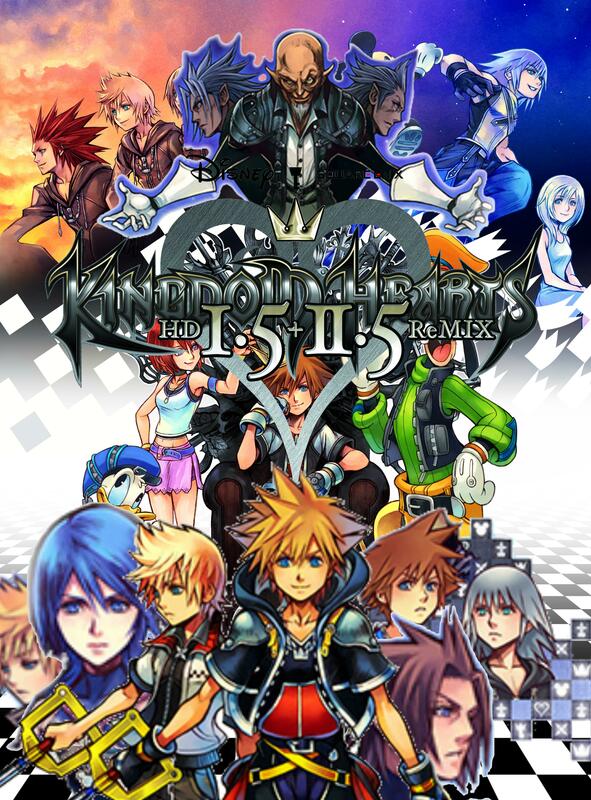 News ► KINGDOM HEARTS HD 1.5 + 2.5 ReMIX Boxart Revealed! Series Director Tetsuya Nomura had confirmed in a recent interview that he would not be creating a new illustration for KINGDOM HEARTS HD 1.5+2.5 ReMix. Through Amazon, the cover art for this upcoming PS4 remaster has been revealed, depicting the illustrations of the original PS3 versions against a familiar argyle pattern. UPDATE (2/1/2017): The boxart error where Xion was depicted handless has been fixed. Re: KINGDOM HEARTS 1.5+2.5 Boxart Revealed! 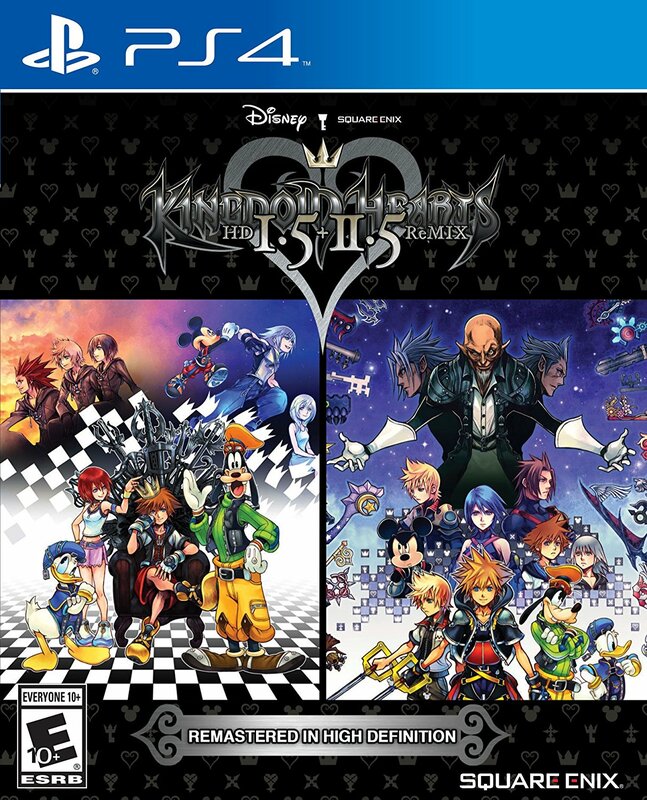 Woohoo three Soras on one box art we've already seen how thrilliiing. It's like SE doesn't want us to buy this. They do realize a lot of people would consider buying it for a new cover alone, right? I liked the plain logo version much much better. Or they could've taken the box-cover and just cut 2.8 put. At least there would've been that nice transition. It's pretty damn good all things considered. Between Nomura saying he won't be drawing new art (gotta keep up his connection between all three titles) and how it's a collection like the Lego Harry Potter games (below), it was pretty obvious it would be both artworks side by side. See, I'm perfectly fine with THIS cover. It's just the fact that the 1.5+2.5 cover doesn't even look nicely arranged like the Lego HP one. It's just this plain background with the covers added in. Like when the picture you decided to use as your desktop background isn't big enough. Meh. I actually like how this was done. Not a huge fan of how they just slapped the two covers side by side for KH, it just feels lazy. xion's missing hand is what clinches this as the best boxart. Lmao my flatmates should be awake now. Damn I laughed so hard. Didnt even catch that before. Xion not having a hand should be canon. It is always missing in Nomura's art. Huh didn't know Xion was a Skywalker. Xion's missing hand is OBVIOUSLY symbolic in a way! She faded away in Roxas' arms and then him and Axel forgot who she was. This signifies the moment they begin to forget who she was, her existence (mostly) erased. Thus her hand disappears. Excellent symbolism used in this one, Nomura! It looks good enough, but more could have been done with it to make it look less like a Photoshop fan mock-up. That negative space on the sides of the logo in particular is really bugging me. But oh well, it works for me. I like it, coulda been better, but it's fine. Dear 'Potential Collector's Edition'...you're our only hope. I'll be the minority here, but I really don't mind this cover. It's not trying to be a new game, but rather like so many 'Collection Boxarts' (God of War, Resident Evil, Jak & Daxter, etc. ), it shows the buyer what you get inside rather than making people believe it's something new. The only thing I don't get is "Remastered in High Definition" because I thought they were meant these were remastered remasters of the remaster games. Wasn't Kingdom Hearts 1.5 remastered to like 720p and just upscaled to 1080p HD? Maybe they finally brought it up to full HD, and with PS4Pro users, they can get it in 4K. Wow, good eye. This is quite hilarious. At least there would've been that nice transition. I didn't want to say it first, but I agree with Muke. Nomura is a great artist. His artwork shouldn't be scaled down, hiding the detail. Some form of transition or "Final Mix" version between the two pieces would have been cool. This is just lazy. I mean, have you seen the latest updates to the official KH website (hub)? It took the liberty of editing the covers together.